40 packs of 16 firecrackers from The Great American Fireworks Co.
80 packs of 16 firecrackers. A long, continuous strip of 1,000 firecrackers! 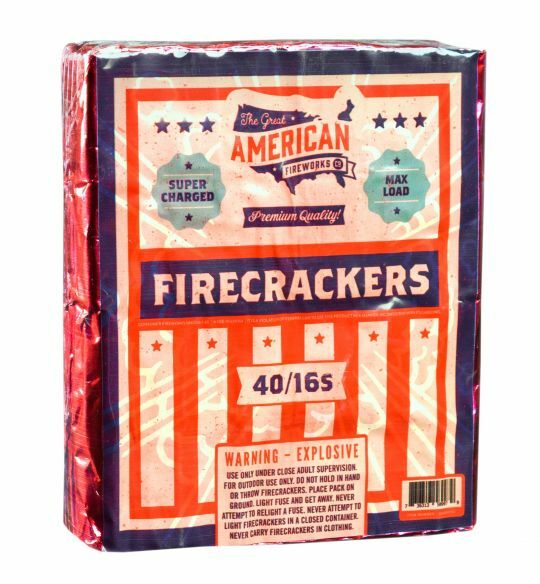 When unrolled, these firecrackers go off continuously for about a minute. Fire works were incredible!! Everyone rally enjoyed the display we had! Thanks Superior Fireworks for such a great selection in fire works, will definitely be back for future holiday events!! My late teen & early twenties grandchildren had a blast with these.